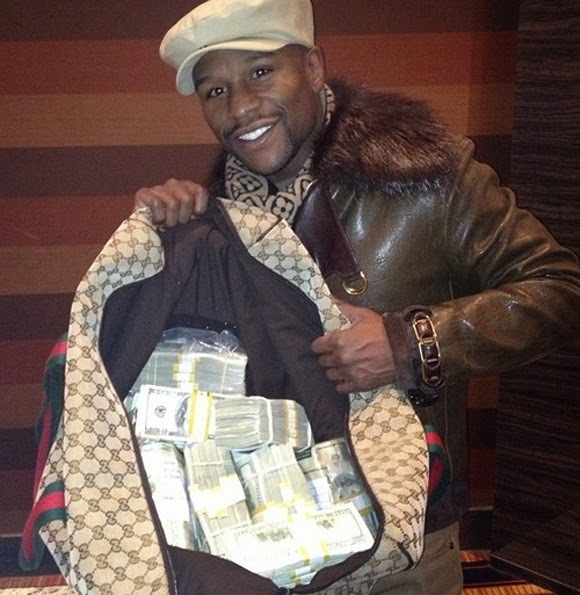 Floyd Mayweather defeated Marcos Maidana for the second time this year this past Saturday night, and it’s not secret that he netted $32 million for being the last man standing in Vegas. That didn’t prevent Mayweather from being super petty later that night, as he took his champagne campaign to Rehab at the Hard Rock, and ordered over $25,000 in food and alcohol, and didn’t leave an iota of a tip, this according to the attending waitress Nik Nyugen. To add insult to injury, Nik didn’t even earn her place of employment any money while Mayweather was there, considering the Hard Rock hotel decided to comp Mayweather’s entire bill. Maybe when Mayweather found out everything was on the house, he forgot that Nyugen probably has her own house to pay for, and she could’ve used a minute percentage of that $25,000 for her hard work. She says it's especially maddening because some of the people in Floyd's entourage -- including Jamie Foxx -- were throwing money at random girls who were twerking on stage.